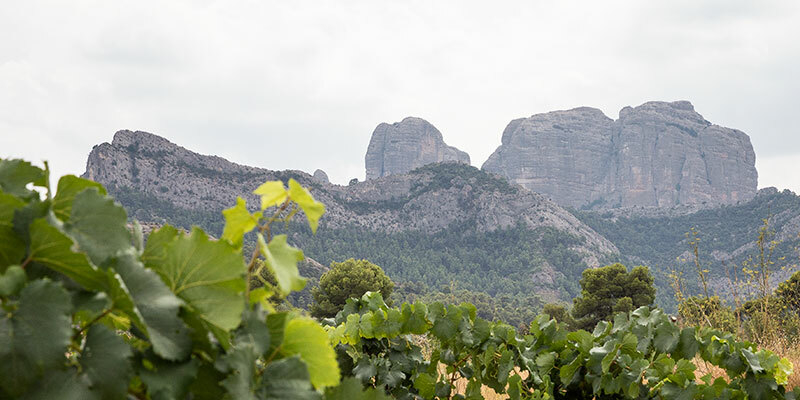 A Spanish wine region with great vineyards and wines that are just starting to show a brilliance that’s been hiding in plain site is most assuredly not a new story–although it’s one I’m always happy to tell. It’s probably not a stretch to say that DO Terra Alta isn’t readily placed on anyone’s world wine maps but for reference, it’s nearly at the very southern point of Catalunya (in Spain’s northeast on the Mediterranean coast and not by Basque Country.) This would mean that in terms of closest regions, you’d have DOQ Priorat and DO Montsant to the north, DO Cariñena a bit further to the west, and then the DOs of València to the south. Those family with Spain’s grapes might then imagine it’s a region dominated by Grenache/Carignan with perhaps a splash of Bobal or even Monastrell you see in València. Indeed, the first batch of grapes have their place in Terra Alta with plenty of old bush vines of Grenache and to a lesser degree, Carignan finding themselves in pleasing climes. Monastrell for some reason gets the short straw–much as it does in DOQ Priorat–and Bobal doesn’t make any appearance. So, yes, pretty classic in terms of grapes. It may seem like we’re all done here and you can sleep soundly knowing, “DO Terra Alta? Well that’s a nice red-producing region with what sounds like up-and-coming wines to make note of. Thanks!” Of course, it’s never that simple as shown by the production totals for 2018 wherein it’s plain to see that the region is dominated by white grapes, not red, at 53%. Of this, more than half is White Grenache which the region has rightfully decided to hang their hat upon as their signature grape; doubly smart as they have 33% percent of all the White Grenache vineyards in the world. But, there’s even more to Terra Alta than White Grenache as the red Grenache comes in a variety of mutations including the standard red grape, Hairy Grenache, and then Garnatxa Tintorera which is actually Alicante Bouschet, although one of its parents was Grenache. But beyond these and the fact that Syrah grows very well, there’s Morenillo which, now that it’s officially approved for use most likely has a bright future as well. It feels like mainstream wine publications are always playing a game of vinous chicken wherein no one ever wants to be the first to present a (non-French) region that may be new to their readers. Then, suddenly, everyone is covering it and wherever you turn, it’s “that” region. Admittedly, this turning point is brought on by a sudden splurge of sponsored press trips, but not always. In the next issue of Decanter I have a profile of Terra Alta coming out. But, before this came to be, I grew quite tired of trying to get the word out and so I sat down last fall to taste the entire production of the region which has now resulted in the first-ever DO Terra Alta Report that you can go download immediately. There are some exceedingly-lovely wines in Terra Alta at the moment and I don’t want to single out any one producer as while some have brilliant wines across the board and others may have one or two star bottles, the fact is, everyone is producing great wines these days–even the cooperatives. I can’t say that about too many regions and sure, there are only 50 or so cellars in Terra Alta, but it’s still worthy to note. After many years of work on their part, DO Terra Alta is in a great moment. What quality has been emerging to date can be easily expanded upon as there are 40 million kg of grapes produced but less than 25% of that is being sold as bottled wine. Thus, there’s room for more to join the party and who wouldn’t as it’s a strikingly-beautiful place, maybe even more so than Priorat. Admittedly, it’s a long way down there and far from Barcelona but undoubtedly, that’s part of the appeal and in case I forgot to mention, there’s great wine.